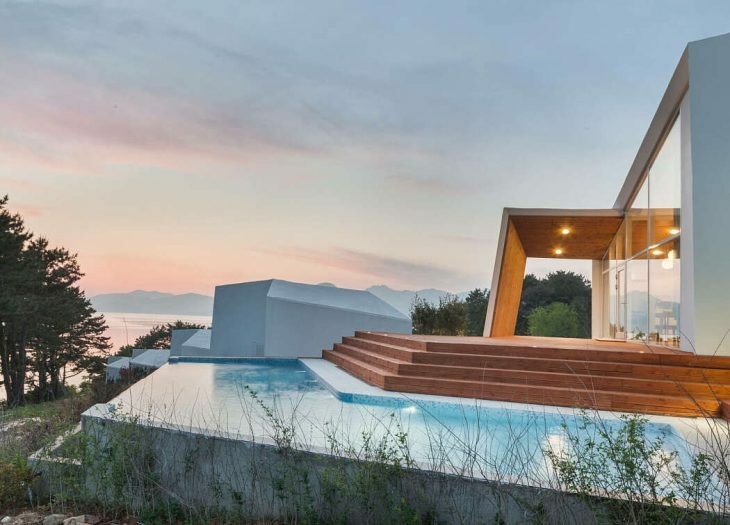 Atelier Chang designed this inspiring two story private residence located on the southern coast of Geoje Island, South Korea, in 2014. Take a look at the complete story after the jump. 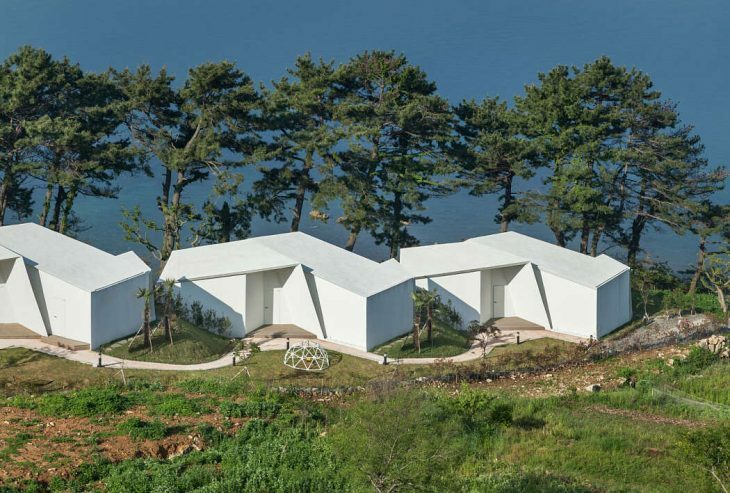 From the architects: Five white, sculptural buildings rest on a cliff on the southern coast of Geoje Island, South Korea. 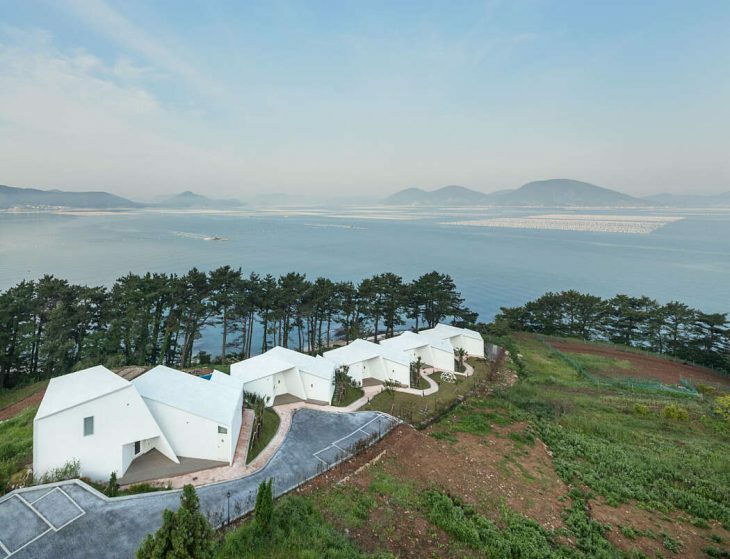 The white walls fold in on themselves to create a private ocean view from each house. 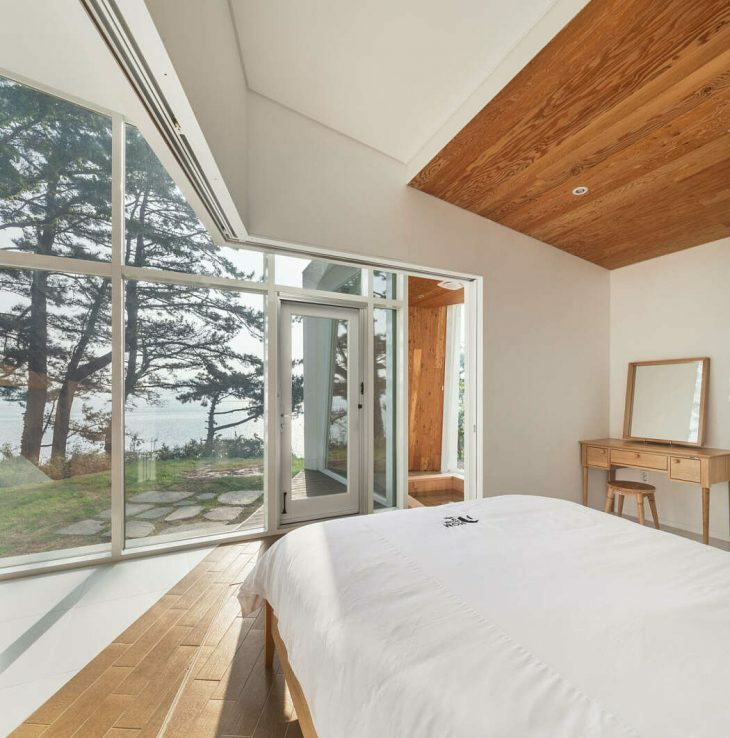 Tall pine trees that grow between the buildings and the sea form occasional frames. 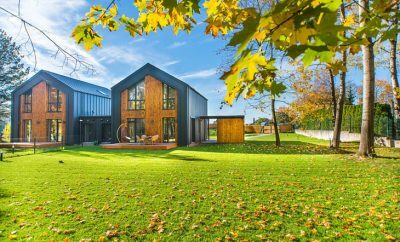 This is the second resort for the hospitality group called House of Mind. The two-story Knot House has a clubhouse as well as the owner’s residence on the top floor. 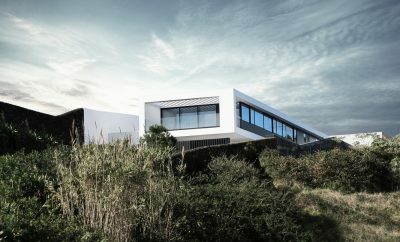 At the border of the clubhouse, a v-shaped infinity pool merges with the ocean afar. Four other one-story Knot Houses host six guestrooms. 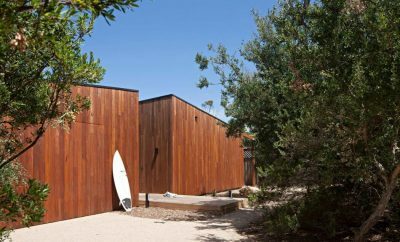 The narrow and long strip of the building site posed an initial challenge of how to fit the maximum number of units while maintaining privacy and ocean views. 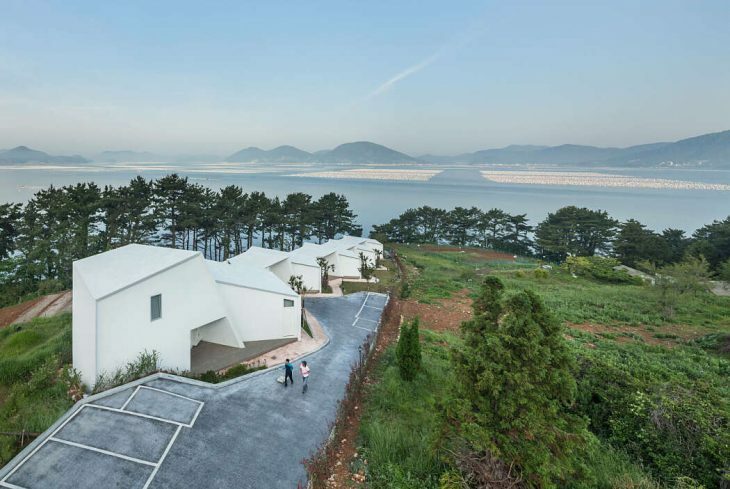 Atelier Chang suggested a layout that turned each house by 40 degrees toward the sea. This staggering allows an unrestricted ocean view for the guests and produces niches of private zones. 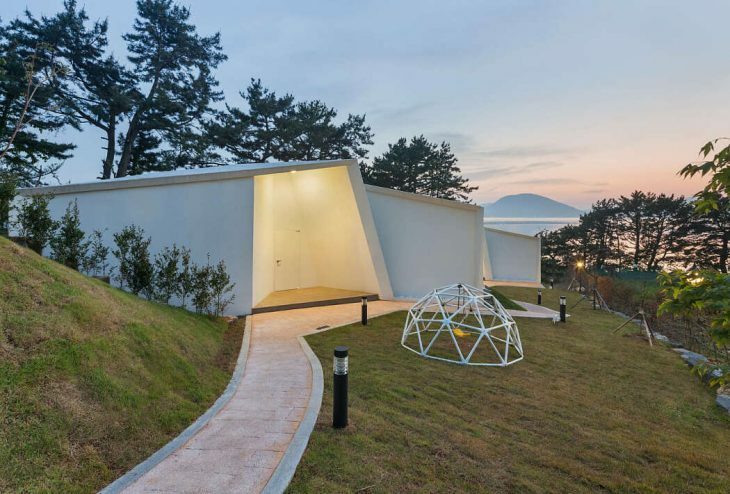 Simultaneously, it amplifies the dynamic outline of the roofs so the visitor can see the continuity of the white angular masses forming mountainous peaks. 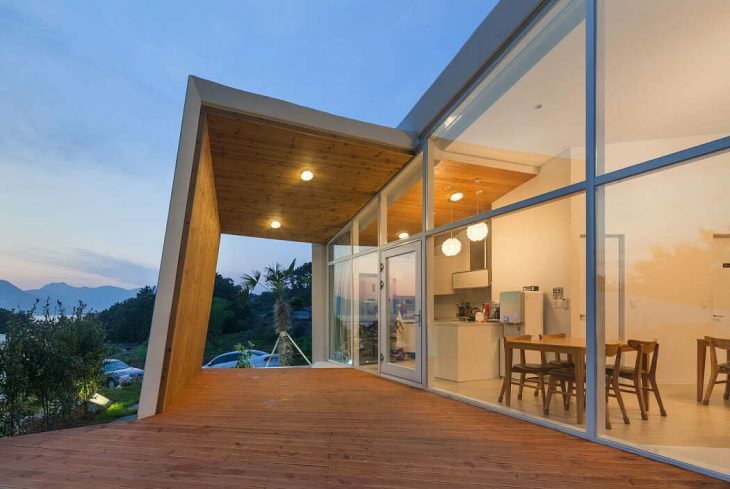 The knot’s folding and unfolding creates different apertures in and outside the building. 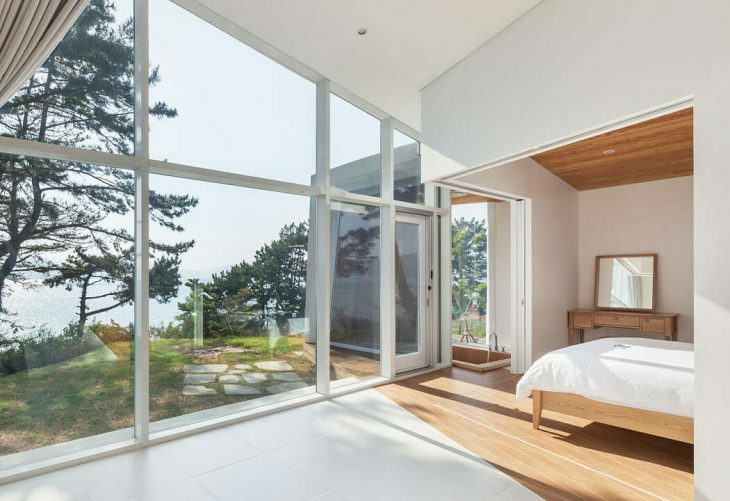 Where the knot unfolds in the front, ten- to 16-feet-high windows open toward the ocean view. 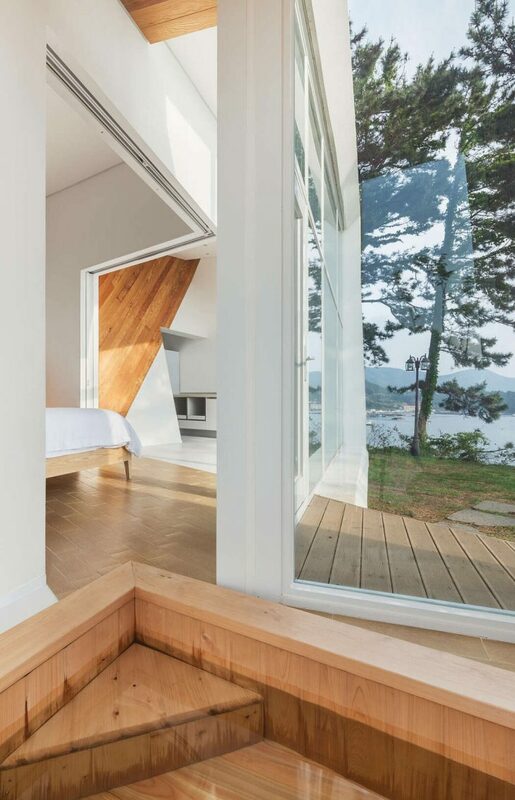 In the rear, it tightens up and provides complete enclosure for privacy. Where the knot is at its loosest, an intimate experience of bathing manages to escape out to the exterior garden. The boundary between the inside and outside seems blurred at this moment. It may feel ironic to be sitting in a Jacuzzi looking out to the ocean and garden on either side of the tub. 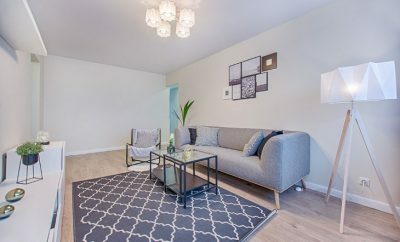 The strategic maneuver of the knot aims at providing a unique experience while maintaining privacy. The knot continues as an interior intervention on a wooden strip. 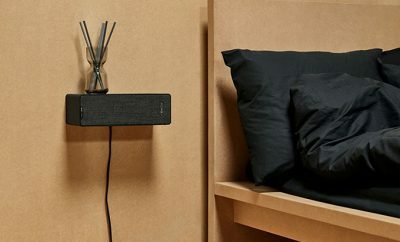 It demarcates a private zone for the bed and tub sitting in the open living room. 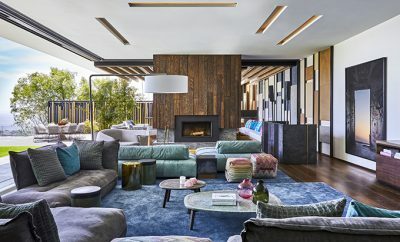 During the concept phase of the project, a key question was how to achieve a seamless spatial connection between the outdoor landscape and indoor living space through architecture. To answer that question, one had to stop separating the building from the ground. 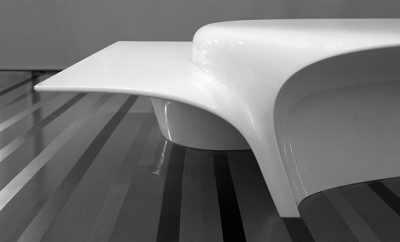 Instead, Atelier Chang imagined a surface made of landscape, which eventually folds into a knot to create an enclosure. The wild landscape floods into the terrace, generates patterns of herb gardens, and gradually reaches the interior in a continuous manner. The initial design concept provided three typologies that mimic different knots. Like choosing a product from a catalogue, an interested client can choose and combine multiple typologies, then form a unique master plan to suit the site. Also, the project brings multiple advantages from a real-estate point of view. 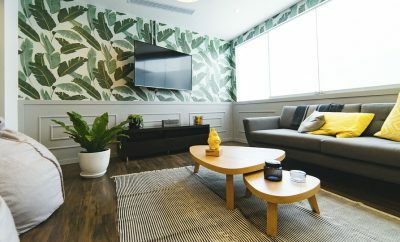 At first, multiple units can be built for hospitality to generate immediate income. Years later, they can be converted and sold as residential units. 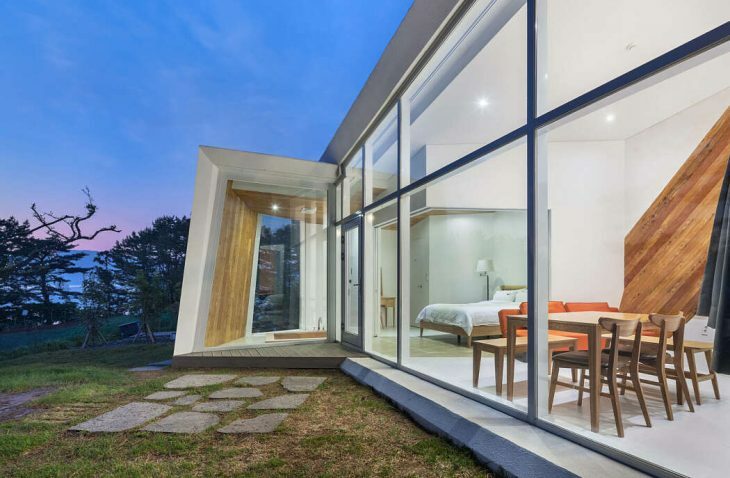 The design itself took into account adaptability throughout the lifespan of the building, from a guest unit to a fully functioning residence.